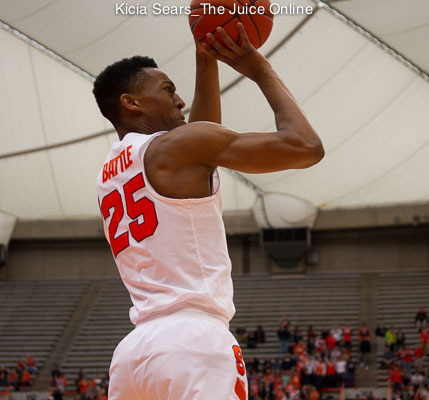 Tyus Battle returning for his sophomore season is a boost to the Orange backcourt. The Orange ended last season relegated to the NIT after making it to the NCAA Final Four a year earlier. 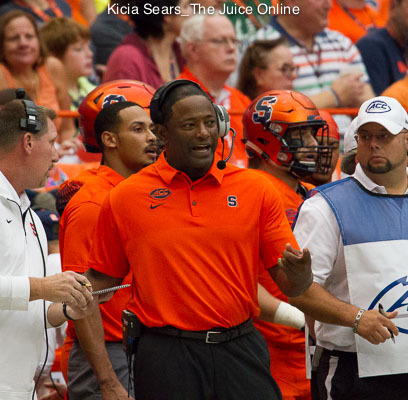 Questions emerged about Syracuse’s potential success following the departure of several key players from last year’s team. Those questions are reflected in the USA Today preseason coaches poll, which did not rank Syracuse in the top 25. However, preseason doubts only motivate Battle as he prepares for the coming year. Battle emerged as a central figure in the Orange lineup last season. As a freshman, he started 25 of 34 games. Battle established himself as a consistent shooter, making 60 3-point shots on the season and averaging 11.3 points per game. With 58 assists and 44 steals, Battle made his presence felt on both ends of the court. Moving into this season, the Orange will need to see even more production from Battle. From what he’s seen so far, Jim Boeheim believes that Battle is more than ready to deliver. Much of Battle’s improvement stems from extensive training at home and at school during the offseason. 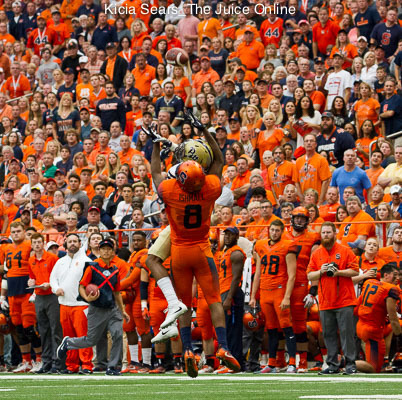 Although Battle’s skill as a player will be critical to Syracuse’s success, his ability as a leader may be even more essential in the coming season. In the wake of Tyler Lydon’s departure for the NBA and Taureen Thompson’s transfer to Seton Hall, Battle will be the nucleus of Boeheim’s restructured roster. Incoming players have already started to look to Battle for guidance. Where the season will take Battle and the Orange remains to be seen. Many questions remain about how this new team will coalesce. However, Battle appears ready to meet the season’s challenges head-on.